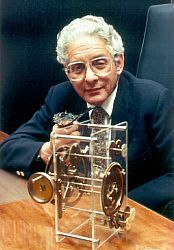 It is just over fifty years since Derek de Solla Price produced his best known work: Little Science, Big Science. It was on the required reading list for my information science masters course, and – I suspect like many other students of the subject at that time – I wondered what it was doing there. It took some while before I realised that Price’s work, which founded the subject known generally known as scientometrics, was intimately connected with the information sciences, building on the laws of ‘statistical bibliography’ developed earlier by Bradford, Zipf, Pareto and the rest. It now is taken for granted that bibliometrics and scientometrics are an integral part of information science, albeit that they overlap into other disciplines. 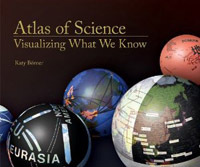 Just how far they have come since Price’s day, with particular encouragement from the development of information visualisation techniques in the last decade, is shown in a remarkable new book: Katy Börner’s Atlas of Science: Visualizing what we know. That an atlas of science of this sort, which rightly claims to set out the evolution of scientific knowledge, disciplines and applications, should be complied by a professor of information science, as Börner is, shows the extent to which Price’s ideas have been adopted by our discipline. 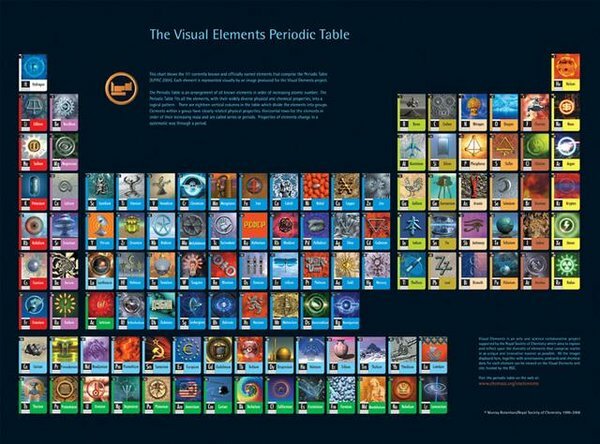 A beautifully produced, and very large, book, it accompanies a physical exhibition of science maps, running until 2014 and continually augmented with new material. The core of the book is a series of 31 examples of mappings of science and scientific progress: from Napoleon’s march on Moscow to the period table, and from Wikipedia’s coverage of scientific issues to visualisations of DNA development and patent applications. Fascinating in themselves, they put this book, to my mind, on a par with Edward Tufte’s Visual Explanations and John Barrow’s Cosmic Imagery, as exemplifications of good use of images in conveying complex information and ideas. The book is much more than this, however: indeed, this is only one of five parts. Of particular interest to anyone reflecting on the relations between the mapping of science and information disciplines is the second part, covering the history of science maps, and the third, covering the development of the ‘science of science’. Here we find sections on familiar topics: the collection, organisation and dissemination of knowledge; classification, interlinking and visualisation, co-citation and invisible colleges; and the idea of a ‘global brain’, able to comprehend it all. And some familiar names: Gutenberg, Nelson, Berners-Lee, Dewey, Otlet, Shepard, Garfield, Bush, Licklider, Zipf, Bradford, Lotka and Pareto. These sections, with their appealing timelines and linkages of influence, would serve a novel and attention-catching introduction to the main ideas and personalities across a substantial part of the information sciences. Börner’s magnum opus shows not only how far we have come in scientometrics, but also how closely related the subject is with the rest of information science. In a review in Scientometrics (2011, 88(2), 657-677), Loet Leydesdorff says this is a wonderful book, and I agree. I think de Solla Price would too. Previous Post The document in the cave?